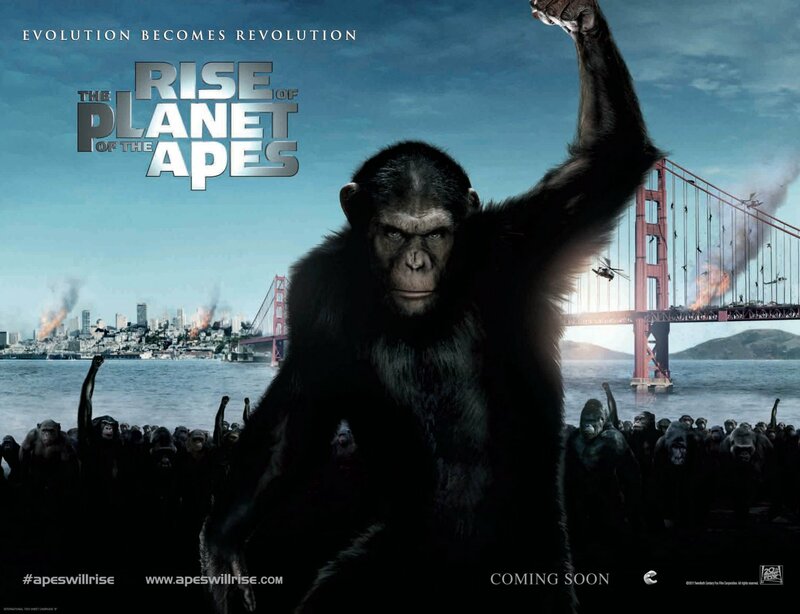 The Rise of the Planet of the Apes was a SURPRISE BLOCKBUSTER HIT! The strength of The Rise lies majority on the Emotional Aspect of the Apes as they try to blend in with the human world. I loved the way how the story line goes. The writer and the Director really blended well some elements of the Classic Rise of the Apes with the modern touch plus the great mood that made the Apes even more sympathetic and scary at times. The good progression of the plot made the whole film placed in a nutshell with various tastes. The film is not just a Science-fiction film but more so, a Drama that will lead you the connection of the Apes and Humans. This connection entails a deeper meaning that humans are interrelated with other creatures in this world such as apes. Although the film focuses more of the Apes (thats why its entitled Plane of the Apes), some of the film aspects are kinda lacking. Such as the aspects on the Human side. But, however, the film was able to thrive with its weaknesses through artistically CGI-Generated techniques that made the Apes more realistic. The film's strength also lies in its editing and cinematography. I really commend who they do with CGI technology. A good Cinematography plus a clear progression and premise of the plot, let you survived the film for almost 2 hours. On the contrary, I had a little problem with some of the characters. James Franco did a good portrayal as a scientist who is so skeptic and very determined to find an answer and link about the medicine that could change both the whole Humanity and the Apes. I just didn't feel the full presence of James' Veterinarian girlfriend. As if she is just an add-on on the story. Her character was more or less not related to the character of James. Well, other characters delivered able performances. It is just that more attention were given to Apes since their faces are all over the film's running time. I also commend the performance of the Ape (Andrew)whom I'm think being so artistically effective as a CGI-Generated Mammal. The films is not about the APES ruling the world or taking over HUMANITY, but the film brings you to a conclusion that they are just ordinary creatures living and fighting for their survival and the right to live here on Earth. It is visually entertaining. Production Design was great. Its just a perfect place to bring those apes roaming around the Metropolis. Action scenes were greatly staged. The whole film won't give you awe not only to its vivid plot and great CGI effects, but will bring you to a roller-coaster ride of emotions, determination, dreams and ambitions. Eventually, leaving your sympathy towards the Apes, that they are just animals who wanted to find a place where they could find their safety and comfort... a place called HOME! It is indeed the movie you shouldn't wanna miss.